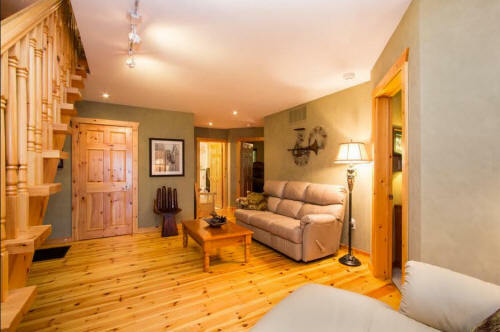 Welcome to 22 Glen Road (Fire Route 383), Kinmount (geo coordinates 44.3764543 -78.459970). 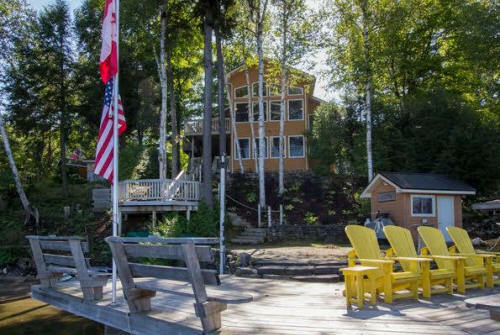 A Stunning 2,900 sq ft FURNISHED 4-season waterfront home on one of the best lakes in the Kawartha’s – Crystal Lake – a deep, spring-fed lake offering excellent boating/swimming/fishing. 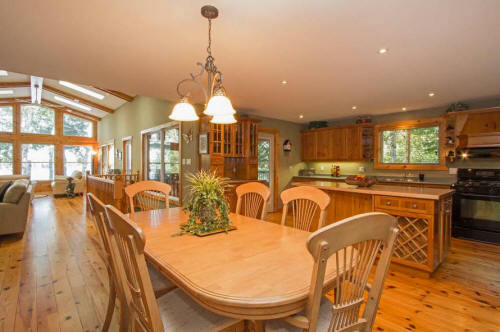 Entertain family and guests with 4 bedrooms, 4 baths with huge sky-lit master ensuite, sauna, laundry, gourmet kitchen with center island, dining area and beamed cathedral ceiling in the great room/sitting area with expansive windows. 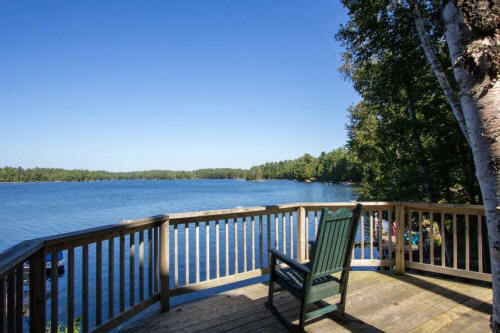 Dine “alfresco” overlooking the water on one of the multiple decks/patios/sunrooms. 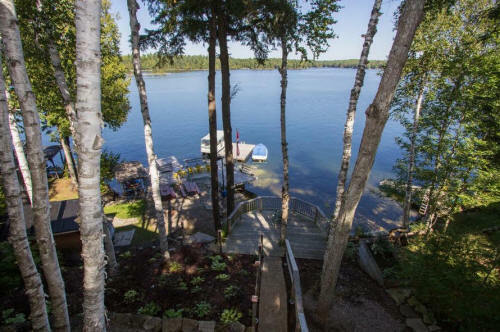 Pristine shoreline with large docks for lounging and to moor your toys. 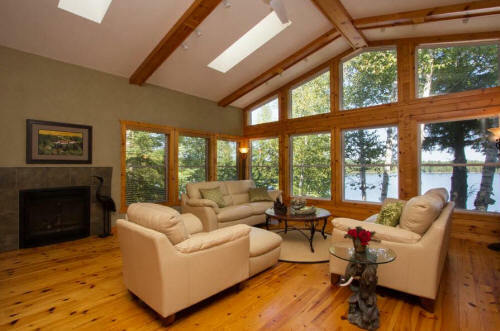 Move-in ready with custom hand-painted suede interior walls, knotty pine floors/trim/doors. New propane furnace and steel roof (’15). 1 1/2 hrs from Oshawa; between Bobcaygeon & Kinmount. 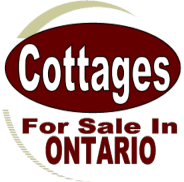 Turn key property – includes most furnishings! !